Haytor Dog Boarding Kennels and Cattery is a friendly, welcoming and well maintained Boarding Kennels and Cattery in the Surrey Hills area, overlooking Boxhill. Haytor have an excellent reputation for looking after your beloved pets, as if they were our own, enabling you to enjoy your break with the peace of mind, in the knowledge that your pets will be safe, secure and happy. For over 25 years, Haytor Dog Boarding Kennels and Cattery has been a family run business, offering intensive pet care by our dedicated staff. Collectively, our team at Haytor Dog Boarding Kennels and Cattery have over 50 years experience in caring for the animals entrusted to us. 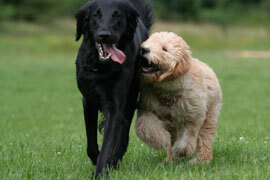 Haytor Dog Boarding Kennels and Cattery is located in Dorking, Surrey, close to the Sussex border. We are fortunate enough to be surrounded by only National Trust land, at Boxhill, which is designated as an area of outstanding natural beauty. Situated between Dorking and Reigate, within a mile of Brockham and Betchworth, off the A25 and only 18 minutes from Gatwick airport. 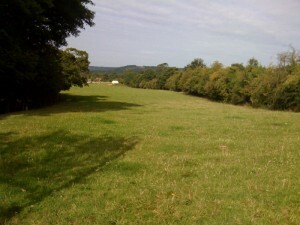 And only 40 minutes from central London. For directions to our location please click on Haytor Dog Kennels and Cattery Location.